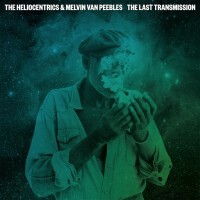 The Last Transmission is a spaced-out collaboration between funk-jazz band The Heliocentrics and Renaissance man Melvin Van Peebles. The Heliocentrics, a group capable of playing a diverse range of styles, often tending towards experimental jazz, provide what may best be described as the soundtrack for the interstellar odyssey that Van Peebles crafts throughout the course of this concept album. The author, poet, musician, and filmmaker Van Peebles—who is perhaps best known for writing, producing, directing, and starring in the 1971 film Sweet Sweetback’s Baadasssss Song—provides the album’s poetry, narrative, and narrates the album’s interstellar storyline, invoking ESP and space travel in a narrative thread that, while disjointed, serves as the album’s focal point. Drawing heavily from the spacey jazz experiments of Sun Ra & His Arkestra (a group that also often invoked space travel), The Heliocentrics and Van Peebles create a science fiction jazz concept album. Van Peeble’s cinematic space odyssey is the glue that holds the record together, as the listener follows a traveler through his cosmic journey in the stars and his own mind, and as the album’s protagonist undergoes a profound transformation throughout the course of the record. The Heliocentrics provide an adept score for this odyssey, crafting deep grooves with sporadic electronic bursts of synthesizers amidst their staple acoustic drum set and bass. While many have claimed to be influenced by Sun Ra’s 1960s space-jazz, this record arguably is one of the closest releases in the spirit of Ra, fusing current sounds in contemporary jazz (funky hip-hop style breakbeats pervade this release—listen to “The Dance” for a deliberate exploration of several), electronic music (with synthesizers used to effective dramatic ends as in “Chapter 3: Searching for Signs of life”), and firmly cemented grooves as in “Chapter 2: Big Bang Transmission.” As Sun Ra updated the predominant jazz sounds of his day with his spacey clothing, stories, and performance persona, so do Van Peebles and the Heliocentrics carry on this tradition through their cinematic story of a space traveler discovering new rules of chemistry in far-off world. Ultimately, The Last Transmission feels less like an album than it does like a film without images; this is an outcome that is not surprising in light of Melvin Van Peebles’s earlier career in cinema. Ever the innovative artists, Van Peebles and the Heliocentrics utilize this album to explore a fascinating storytelling form. 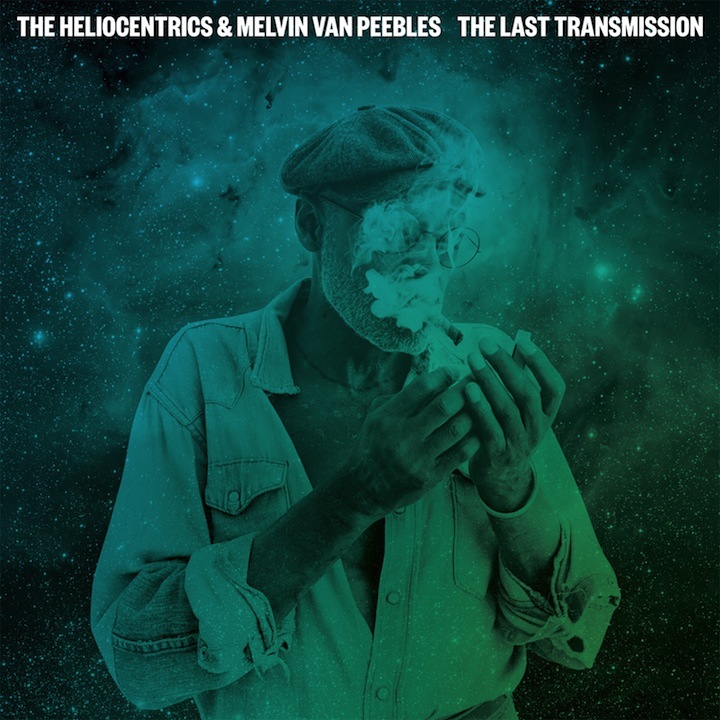 From Van Peeble’s stream-of-consciousness story line to the Heliocentrics’ masterful soundtrack, The Last Transmission will be a pleasure for both fans of spaced-out jazz fusion as well as DJs who dig record crates for breakbeats full of ambiance.